If you're not sure what size you need, we can help! Still want brass hardware? Check out our Warehouse Sale. Limited quantity available. Stainless Steel Hardware - available in sizes 12" - 22" and 28"
Brass Hardware - available in sizes 6"- 13" and 23" - 27"
Designed specifically for dominant and aggressive dogs to control their behavior. When used appropriately, dominant dog collars are a humane alternative to prong and electric collars. This collar is not intended to give a painful correction. When used appropriately, tightening should take the air away from a dominant aggressive dog just enough to correct unwanted behavior. Some dogs will get overstimulated by a prong collar, resulting in a more hectic and aggressive dog. Using a dominant dog collar correctly on aggressive dogs takes the drive and fight out of the dog. Dogs are commonly put to sleep for aggression problems, problems that seasoned dog trainers can manage. Killing a dog must always be the last resort. Learning how to use a dominant dog collar can make a huge difference for an aggressive dog. Instead of needing to put an aggressive dog down, a dog trainer can manage the dog's aggression and turn it into a dog that others can live with. For more information on how to deal with aggressive and dominant dogs, see our DVDs in Dominant Dog and Management & Socialization, and articles in Behavioral Problems, Dominance & Aggression Articles, and Pack Structure. Due to government restrictions, countries like Australia and several in Europe do not allow the use of remote or electric collars. Dominant dog collars are a viable alternative. For assistance to determine the correct size for your dog, use our handy sizing helper by clicking the link above the price point. Measure the dog's neck just under the jaw and right behind the ears using a string or cloth tape measure. The string should be very snug; as tight a measurement as you can get it. There should be no extra room at all between the dog's neck and the tape measure. If you have measured your dogs neck properly and your dogs neck size is in between two inch marks (i.e. .0 - .5), round your result down to the nearest inch. For example, if you measurement is 13 1/2 inches than your number is 13 inches. Round up for measurements .6 - .9 of an inch (13.75" becomes 14"). If you just need a backup collar, simply select the size that matches the number you got. For example, a dog with a 13" or 13.25" neck will need a 13" backup dominant dog collar. Because the length of the hardware varies, determining the appropriate corrective dominant collar will depend on your measurement. The name of the options do not necessarily relate to the number you get from your measurement of your dog. The hardware is smaller on the dominant dog collars that are 8" to 13", so if your dog's neck is between 8" and 13" you should select the option that is 1" smaller. For example, a dog with a 10" neck will need the 9" dominant dog collar. The hardware is larger on the collars that are 14" and larger, so if your dog's neck is 14" or greater, you will need to select the option that is 2" smaller than your measurement. For example, a dog with a 15" neck will need the 13" dominant dog collar. The hardware dimensions varying means some dogs with different neck measurements will end up with the same option. For example, an dog with 13" neck and another dog with a 14" neck will both need the 12" corrective dominant dog collar, because the 13" collar uses a shorter fastener than the 14" collar. If you need help sizing, view our video on Dominant Dog Collar Sizing. If you are questioning your measurement, please feel free to call our sales team and we can talk you through the process. When dominant dog collars are properly fitted they will stay in place and not slip down the dog's neck. If the collar does not stay in place, it will not be as effective for training. It is very important that trainers understand that the proper fit will not only ensure better training, but that it also helps keep the dog safe. The less movement in the handlers arm the faster the trainer is going to be able to take the slack out of the collar, and the less likely the trainer is to cause the dog injury. Dominant dog collars are extremely durable. However, a dog can chew through it. This shouldn't happen if a dominant dog collar is fitted correctly, but if it has too much slack, or if a dog is left with it unattended, owners run the risk of the collar becoming damaged. Dogs chewing collars off their neck are not covered under warranty. If you are new to this product, it is important that you understand how we intend the product to be used. This collar should not be used to give a leash correction. It's not intended to be used in the manner such as "yank and crank", where dog trainers jerked dogs around to give corrections. Doing that with this collar or with a metal choke collar will damage the throat of your dog. Our dominant dog collar should only be used the way we explain here and how we demonstrate their use in our DVDs. If you use the dominant dog collar the way we explain it is the best collar available to solve serious unwarranted aggression problems. However, if you use it to jerk your dog around to administer leash corrections, you could very easily injure your dog. This collar is meant as a training collar and not to be used as an “everyday” collar, and should not be worn without direct supervision. We advise that this collar is used for walking or training and then removed at the end of the session. Leerburg will not be held responsible for any injuries that result from the improper use of dominant dog collars. Your advice along with the dominant dog collar for me is the only reason my dog hasn’t been put to sleep. Those initial months where he would turn on me, that collar saved me countless times!! He has it on 24/7 and it’s because of that he now accepts that I am in charge. Admittedly there is a fine line, but it’s there, and I can’t thank you enough. With a headstrong adolescent dog, this makes all the difference. Of course, proper education about dog training methods is key, but this simple collar (SIZED PROPERLY!!) can be a 30 second miracle for an otherwise unruly dog. It's a review of your site I'm trying to just order two collars add it shows me how to measure etc but NEVER give me an options to hint our put in cart. I bought this as a back up collar for my prong collar. It fits perfectly and isn't overly noticeable against my dog's dark fur. I'll certainly be buying this for my other dog. I have a shepherd that constantly pulls and tries to lunge for my cats and this collar has put her in her place when we go for a walk. She always walks beside me and I don't give her slack to avoid injury if she lunges. Gradual upward pressure is all that I need for a correction. Often she will try to pull and she'll self correct from her own pressure. You will hear your dog gulp and huff a bit and then their pace quickly adjusts to yours. My wife can also handle the dog now with this collar. I don't have time to deal with a prong collar because I'm always in a rush and this collar is a great substitute. The only time I don't use it is when I take my dog out to go potty with the flexi leash. My dog wears the comfort collar for the flexi leash to avoid injury if she darts out. Great product, I highly recommend it as long as you understand that corrections are with gradual pressure and not a tug. Recently purchased one of these collars to try out, and possibly add to my training programs. I received it today, and have used it on my dog, and I must say the subtle correction and ease of use is phenomenal! I will be buying more of these in the future to add to my training programs. I honestly feel this gives a better correction than my prong collar. Absolutely amazing, and so gratifying! Thank you Leerburg, and Ed Frawley! I have 5 of these and just ordered 2 more. I previously used Snake chains similar to choker. Since buying TRAINING DVD i have changed my styles and find these so much more useful BUT the thing i like most is dogs cant back up and slip out like the might in a loose choker. I also use it during training in my show collar as a back up line. I find this works perfect for my girl who is too sensitive for a prong and hates collars that make sounds like the chain of martingales do. I'm actually using my late Boxer's collar which is way too big for her. I just knotted it a few times over the length of the collar and now it fits perfect. Enables me after years of remote collar training (unlike her predecessors who responded well to pronged collar training). I use dominant dog collar as a safety backup when I run with Ninya at my side. The dominant dog collar works well when a small correction is needed for positioning at my side or when I must exercise absolute control in the presence of unleashed aggressive dogs. At four years of age, I still require her to wear remote collar at all times out doors when on leash or during daily focused off leash training. I purchased this dominant dog collar through Leerburg over a year ago. I have a Herm Springer SS prong collar but my big 100lb GSD still pulled more than I wanted when he saw a squirrel or another animal. By getting just the right fit and placing the cord right below his jaw he doesn't even need the prong collar. He is well behaved with just the dominant dog collar. Plus it looks better and doesn't pinch his fur. It's much easier to get off and on. I highly recommend one. Got this collar to help deal with leash aggression in my 2 year old Belgian Malinois. After 4 months of positive only behavior adjustment training, she had improved some but would still bark/lunge at some dogs (particularly if they were reactive themselves), but this collar has made a tremendous difference in that behavior. Most of the time she doesn't react at all anymore, but even if she tries to act out a bit, she fights it for 10 seconds or so, then settles right back down. She's clearly unharmed by it but absolutely unable to bark or lunge in it. Fantastic tool for dealing with this behavior issue. WOW! What a difference this collar makes! When I first received it, I thought "Now way is this going to be big enough for my 10 month old Belgian Malinois." But I trusted Leerburg and tried it on her....low and behold it fit like a charm, exactly like they said it should. No more backing out of a flat collar! She responds so much better with corrections and it doesn't hurt her. Thank you Leerburg for a great training tool! I am very happy with my new dd collar and I tell everyone about it. I have a 2 yr old boxer boy that was a rescue and who is stranger and dog aggressive who also likes to redirect when corrected. He has been in behavior modification and obedience training for 3 months and doing well. However, this little gem coupled with Leerburg's wire basket muzzle has definitely helped get us both where we can enjoy nightly walks without incident(: His trainer is also very pleased and recommending this site to other clients for educational material and equipment. Thank you sooo much! Awesome collar. I use it for my training sessions plus my own dogs multiple times a day. As good as new after (I guess) 4 - 5 years of daily use. Can't recommend it enough. 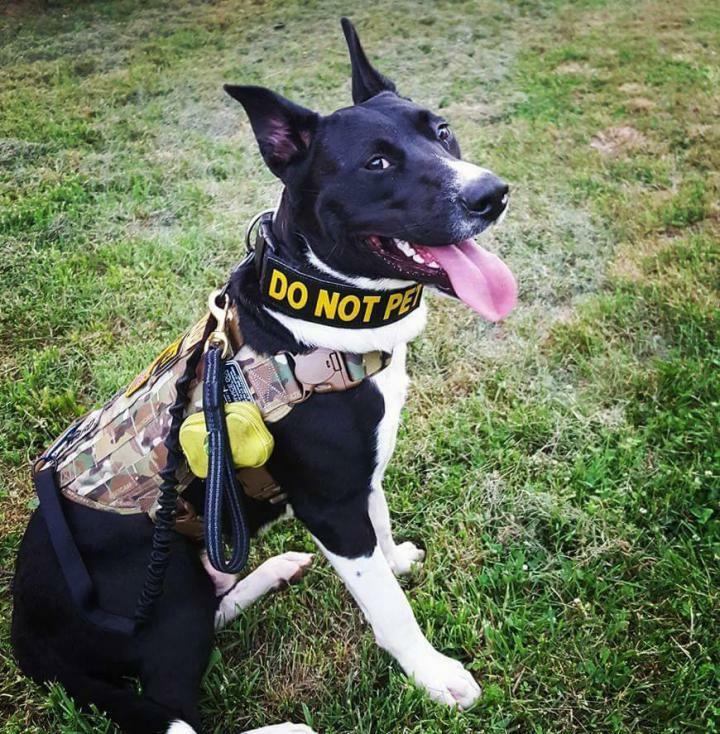 This collar makes it simple to take the dog out for a quick potty break and works as a good backup/training collar for our prong session. I've only had our prong collar fall off once, but with the DDC I don't have to worry about my dog getting off leash in the city. I've used this on a 'strong-willed' dog and with it on she is easily controlled with little corrections. Please READ and UNDERSTAND how this collar is to be used and worn. I ordered this for my six month old Chocolate Lab. He is going to be a big boy & is already pushing 70 pounds. I tried to anticipate his size but got a little too big of collar. I should have gotten 1-2" smaller as this collar should not extend more than 2" after connected. Big runs in the family. I used this type of collar training my now 140 pound Rottie. Very pleased & would highly recommend this product. Great back up when using any prong collar & Leerburg prong leash system. Secure, easy, works like a charm. This in no way hinders the ease of training, just peace of mind. This collar definitely works as advertised. Be sure to watch the video about sizing it though. I took great care to measure my dog for this collar and still wound up buying a collar that was about an inch too long. Even so, I've been able to make good use of it, and curb some dominant behavior in just a matter of a few corrections. Good product, does help control aggressive dog. Mine did break, however. It is about 3 or 4 years old. It was not because the dog chewed on it.